It is no secret that the tourism is a dynamic industry that requires the ability to constantly be adapted to the customer’s changing needs and desires. The customer’s satisfaction, enjoyment, and safety are mainly the focus of the competitive and growing tourism industry. All the different touristic interactions enhance the possibilities of a great business, but the airports play an even more important role in the whole process: they are the main gateway for tourists arriving to the country. That’s why the strategic alliances made with international airports, specifically with its airlines, represent a great opportunity to increase the traffic of incoming tourists, as well as facilitate the possibilities of travelling for the national tourists wondering to visit other countries. Costa Rica has been gaining a significant international recognition due to the great job done during the touristic workshops held in different parts of the world, and the efforts of the government and all the entities related with the industry. As a result of this negotiations, there are new airlines flying to the Costa Rica airports. 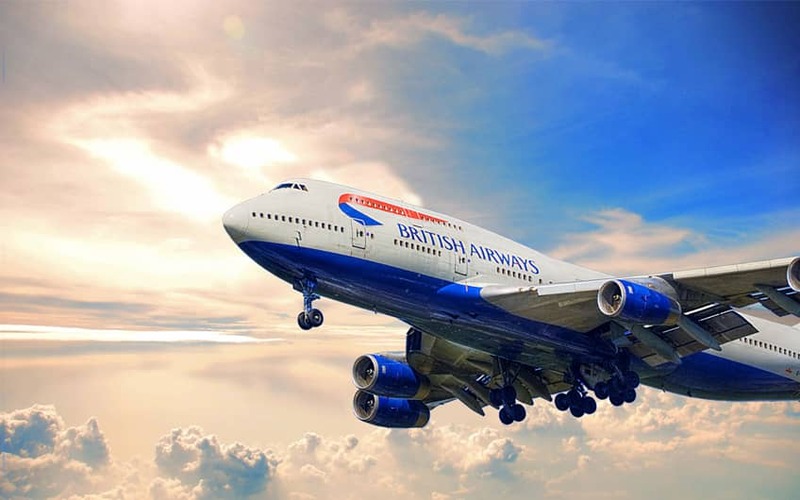 For first time in the history of Costa Rica, the Juan Santamaria International Airport welcomed on April 27th the first direct flight of British Airways from London. This event makes official the new operations of the English airline in our country. As said by Luis Guillermo Solis, President of the Republic, this transaction represents a milestone in the history of tourism in Costa Rica, as it is the second direct connection to the European continent. “Once again, our country demonstrates its position as a tourist destination. The prestigious British Airways chose us as their first destination in Central America, generating benefits that pervade both the tourism industry, to bridge the gap and provide the opportunity to visit Europe to Costa Rica, as well as foreign trade, thanks to the capacity to transport cargo of such aircraft, so this direct flight will boost our economy and generate benefits for all citizens, thanks to the dynamic effect of tourism”, said Solis. Meanwhile, Mauricio Ventura, Tourism Minister, explained that this new flight consolidates even more the country in the European continent. This is extremely significant for Costa Rica considering that this is our second priority market, and the fact that it showed an important increase of the 6.8% during the last year. British Airways is operating with a Boeing 777 twice a week during the summer season in United Kingdom; during the winter season they will be operating three weekly flights. The aircraft has 275 seats in three cabins: 48 in Club World (business), 24 in World Traveller Plus (premium economy), and 203 in World Traveller (economy). This operation will allow the use of the connections of the airline with the 130 different destinies in the British Airways net. Some of them are Edinburgh and Glasgow in Scotland, Amsterdam in Holland, Barcelona in Spain, Roma in Italy, Jersey Island in England, and Dublin in Ireland. Colm Lacy, Commercial Director of British Airways in Gatwick, expressed his excitement about the new operation of the airline in Costa Rica. He said that the new service will ease the approach of the Costa Ricans to Europe and the rest of the world, thanks to their global flights net. And, for the European travelers –families, couples, and adventurers- the new flight will serve as a gate to incredible places to visit and enjoy. "Whatever the motivation to travel is, all customers flying with us can be sure to receive a warm welcome and a British high-quality service", mentioned Lacy. British Airways is part of the International Airlines Group, one of the main first class global airlines in the world, and it is the biggest international airline in United Kingdom. The company has its operations base in London Heathrow and flies to more than 70 different countries. Nowadays, the airline has a fleet of more than 270 aircrafts. Thanks to the consolidation of Costa Rica as an important tourist destination, the famous French airline Air France decided to flight for first time to the country. Recently, the Costa Rica Tourist Board (ICT) announced the opening of two weekly direct flights from Paris to San Jose. These flights will be operated by a Boeing 777-300, the biggest plane coming to the Juan Santamaria Airport, with a total capacity of 468 seats -14 in Business, 32 in Premium Economy, and 422 in Economy. The wide options of seats will permit the amplitude of travelers using the flight services, as well as more comfort for each one. The deal made with Air France will benefits Costa Ricans wishing to travel to Europe, as the same time that increases the possibilities of attracting more European tourists to the country. Last year, the country welcomed near 314 thousand European visitors who arrived by air; an increase of the 7% in comparison with 2014. The majority of them were tourists coming from Spain, Germany, and France. According to Mauricio Ventura, Tourism Minister, this new operation is a direct result of the approaching made during the past ITB, and it represents in good way the important positioning that Costa Rica achieved as touristic destination in Europe. It is not easy to get a European airline deciding to fly to Central America, and it is even more complex if there are existing connections to the neighboring countries. That’s why the efforts made to attract new airlines from our main tourist markets are a very remarkable action that will lead Costa Rica into a better position in terms of handling more short distances between several European countries and Central America. Luis Guillermo Solis, President of the Republic, mentioned that this important announcement is a motive of joy for the government and the whole country, due to the benefits it will bring to the tourist sector and to all the people who is involved, directly or not, with this kind of activity. Nowadays, there are more than 600 people working on the industry. The new flight not only will ease the incoming of French tourists, but also the route will works as a link for the Costa Rican airports to open its gates to tourists from all Europe. Clearly, as mentioned before, this one in particular will be a good option due to the lower prizes in comparison to the other direct flights connecting Costa Rica with the Old Continent. AF430: Departure from Charles de Gaulle, Paris at 13.45 h, arrival to Juan Santamaria International Airport, San Jose at 18.10h, same day. AF431: Departure from Juan Santamaria International Airport at 20.40 h, arrival to Charles de Gaulle, Paris at 13.50 of next day. The flights will be operated on Wednesdays and Saturdays, departing from Paris. A very attractive option for visitors and residents due to the schedule and the low rates in comparison to other European airlines which operate in the country. 90% of them came by air. They are very cultured tourists and love sustainable ecotourism and nature. They love sustainable ecotourism and nature. During 2015 there were registered 47.227 international arrivals for an increase of 9,6% compared to 2014. The average stay for their vacations in Costa Rica consists in 17 nights, spending an average of 107 USD per day. Other of the new flight openings is the one between Los Angeles, California and the Daniel Oduber Quirós International Airport. This flight between Guanacaste and the West Coast of the United States is the second daily flight that is operated by the company from Liberia. Southwest is the biggest airline in the U.S., according to the number of passengers. Southwest Airlines started its operations, with nonstop daily services, from the Daniel Oduber Quirós International Airport (LIR) to Los Angeles, California (LAX) using a Boeing 737-700, with 143 seats. The flight departs from Costa Rica every morning at 9:00 am, arriving to Los Angeles by the afternoon. This schedule makes it more efficient to connect the flights to different destinies around the West of United States, including three airports in the area of San Francisco Bay, Sacramento, Phoenix, Las Vegas, and Denver. Currently, the airline makes a nonstop air link from Liberia to Houston and Baltimore / Washington. This summer season Southwest will make available to its customers a total of 60 weekly flights, connecting Liberia with other destinies, including some flights from the Juan Santamaria Costa Rica International Airport. Southwest Airlines offer to its customers reduced rates with up to two free luggage (the first and second bag checked per passenger, with weight and size limitations); you can know more by following this link. The company was founded on December 27th, its finality was to strength the growth of the aero-commercial activity, satisfy the transportation needs of different regions in Venezuela, and boost the tourism development in the South American country. The airline takes its name from the albatross bird, as this bird flies far away without feeling tired. Also, Albatros Airlines has as its slogan the phrase “Tan lejos como quieras” (or “As far as you want” in English). The airline is the first company in enable a direct flight between Venezuela and San Jose. Their fleet is composed by 5 spectacular aircrafts: two comfortable and modern Cessna 208B Grand Caravan, two Embraer 120 Brasilia, and a Boeing 737-500 named “Esmeralda”. The latter, has 114 seats that satisfy the needs of all kinds of customers. The high standards of quality and top-notch crew will make every trip a very unique experience. With all these options coming to the Costa Rican airports it is almost impossible to have an excuse to not visit the country. There are now a lot of facilities and great opportunities to visit this impressive country. If you want to know more about this destiny please read our blog, we assure you that you will find very useful and valuable information when planning your next vacations.